When Russian Defense Minister Sergei Shoigu said that Moscow is seeking to establish a military presence in Venezuela, Nicaragua and Cuba, many of us dismissed it as a private comment by a top official who may have had one vodka too many. But after Russia's annexation of Crimea, with growing speculation that we are returning to the days of the Cold War, and with press reports of the surprise arrival of a Russian spy ship - the Viktor Leonov SS-175 - in Havana, it may be time to take a second look at Shoigu's remarks. According to a Feb. 26 report by the Russian RIA Novosti news agency, Shoigu said that Russia "is planning to expand its permanent military presence outside its borders by placing military bases in a number of foreign countries," including Cuba, Venezuela, Nicaragua, Vietnam and Singapore. "The talks are under way, and we are close to signing the relevant documents," Shoigu was quoted as saying. The agency added that Russia is working toward the goal of "expanding Russia's global influence." Currently, Russia has only one naval base outside the former Soviet Union - in Tartus, Syria, the report said. In 2002, Russia closed a radar base in Cuba, and a naval base in Vietnam. In addition to the Russian intelligence ship that was seen at the Port of Havana on Feb. 27, at least four other Russian Navy ships visited Venezuela last August, the Venezuelan daily El Universal reported August 27. Most political and military analysts in Washington tell me that Russia is most likely not thinking of setting up full-blown military bases in Venezuela, Nicaragua or Cuba, but rather small-scale refueling stations for its ships and warplanes. One of the most widely held theories is that Russian President Vladimir Putin wants to send a message to the United States - if Washington keeps encroaching into Russia's periphery, Moscow will reciprocate. "The Russians feel that the United States is encroaching on their sphere of influence, so their reciprocal response is to become involved in the U.S. sphere of influence," says Carl Meacham, head of the Latin American department of the Center of Strategic and International Studies in Washington. Russia's anxiety has grown in recent years with the U.S.-backed expansion of the Western NATO military alliance, and more recently with Ukraine's statements that it wants to join the 28-member European Union, analysts say. Others believe that Russia, which faces economic troubles because of weak world oil prices, may want to establish a military presence in Venezuela, Nicaragua and Cuba in order to increase arms sales to these countries. 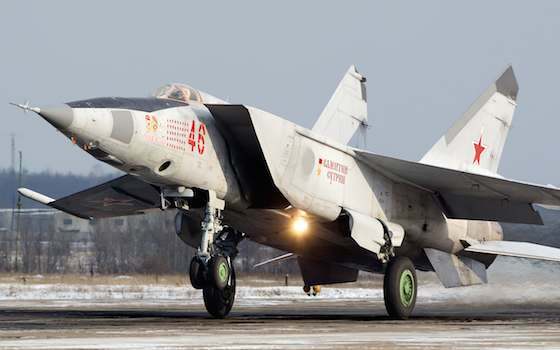 Over the last 12 years, Russia has sold more than $14 billion worth of war planes and military equipment in Latin America, nearly 80 percent of it to Venezuela, according to Russia's state-run Rosoboronexport weapons firm. U.S. officials are skeptical about the possibility of Russian military bases in Latin America. One senior official told me that Nicaragua's Constitution prohibits the establishment of foreign military installations, and that Cuba's defense minister has said that he is unaware of any negotiations with Russia on this issue. But Republican hard-liners are already accusing the Obama administration of failing to recognize an alleged Russian threat in the region. "The Russians are pushing into an area that the United States is neglecting," says Roger Noriega, an American Enterprise Institute fellow and former head of Latin American affairs at the Bush administration's State Department. "The Russians have the capacity, the means and the motives to do this." My opinion: It's hard to take Russian Defense Minister Shoigu's remarks too seriously, because Russia is essentially broke, and can't afford a major military expansion abroad. Despite Putin's annexation of Crimea and his obvious desire to rebuild the former Soviet empire - replacing the old Communist ideology with his rampant crony capitalism - the fact is that Russia's GDP in nominal terms is smaller than California's, and smaller than Brazil's. Still, Putin is the type of megalomaniac who is more interested in making his country powerful than in making his people prosperous. He may try to establish some kind of military presence in Latin America, both as a show of force and to try to sell more weapons. My biggest fear is that a larger Russian military presence would drive Washington to respond in kind. We could see a new East-West arms race in Latin America, in which arms merchants on both sides will get richer, and the region's people will get poorer. "Russian Bases in the Americas: A Bluff?"